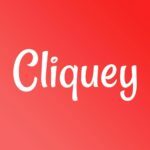 I would like to introduce you to Cliquey, an activity sharing app that allows users to share their activities with their friends as well as rate and review them. This is one of a kind app as I haven’t found another app as versatile. Cliquey has a user generated database which has the potential to grow rapidly with the growth of the number of users. Making it more interesting as it grows. 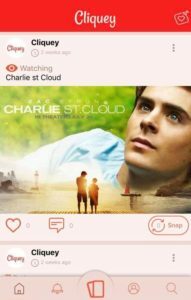 Activities are organised by type so all users books are listed under ‘reading’ and all users movies are listed under ‘watching’. 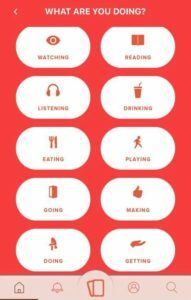 This shows users friends what are their favourite and frequently activities are. The app also has a great wishlist function which allows users to add activities to their wishlist. This is great for keeping users inspired and focused on things they want to do in the future as well as giving friends and family present ideas for birthdays or other special occasions. Our database of activities is user generated so the more users the better. While we endeavour to create new and interesting activities to add to your wish list or post as one of your recent activities. You, as a user can create activities pages in a few simple steps. From the home page, select the new post button on the top right corner of the screen. This will open the next screen to choose the relevant verb for your activity. 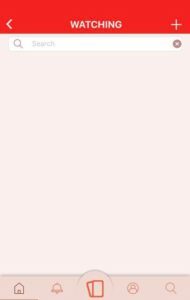 In this screen, search for the activity you are doing. Always search for the activity first as someone may have already created it. If you can not find it, select the + sign to create a new activity page. 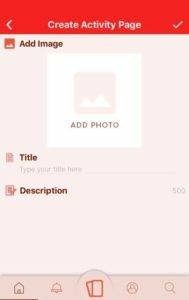 To create a new activity page, you will need 3 details, Name of Activity, and an image that best depicts the activity, you can take your own image or search for one on google, taking care not to use copy written images without permission. The third part is the description of the activity. If you're not sure about how to best describe the activity, use google to find an adequate description like from Wikipedia. Once complete, select the tick which will create the activity page. Wait 1 second and if this doesn't take you straight to your new post page then select the back button where your new page should have been added to your new post page.